Vision and Guiding Values: What do you think? Click on the discussion below and let us know! Thank you so much for sharing such an amazing blog. Your blog aware me so much rated writing about makeup product. Please share more information if you have it will help me in many ways. If we really want to enhance the livability and walkability of Howell, we should try to attract a small, locally-run grocery store to open downtown. This would negate the need for residents to drive to Kroger or Meijer on the outskirts of town while enhancing the local economy and promoting a greater sense of community. I enjoy living in downtown Howell but am frustrated at the lack of grocery options within walking distance. The population density in the neighborhoods surrounding downtown should be enough to support a grocery store. 4 of 5 contractors bidding on my basement did not include the required egress window. Brandon chase condos forbids egress windows but is okay with finishing basements illegally without them. These are elderly people for the most part that can hardly walk to the mailbox and back. How would they get up a smoke filled staircase? Lives are at stake here. If the building burns, the insurance does not have to pay. Howell does not need burned out buildings with no money to re-build them. The city council needs to address the lack of building code enforcement. 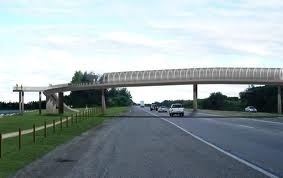 pedestrian bridges would encourage walking and safety while walking over busy roads in Howell and the surrounding community. Especially near neighborhoods off of Latson road close to Oceola town hall and Hutchings elementary school. Downtown Plymouth has them and I think Howell would benefit greatly by implementing them in our community. traffic cameras or other enforcement, many drivers think it is okay to turn left during solid red lights, narrowly avoiding accidents.